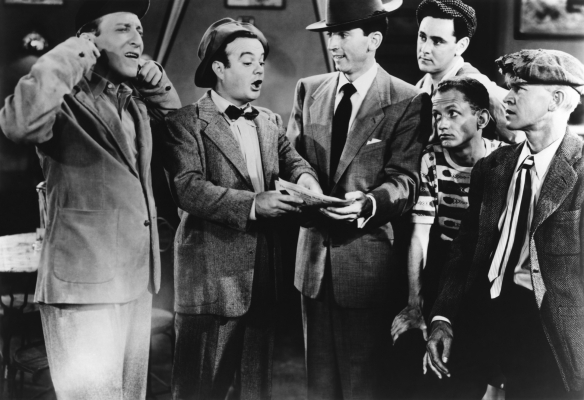 Turner Classic Movies is rerunning:"The Bowery Boys"
films again on saturday mornings:10:30 A.M. to 12:00 P.M.
Our gang never had adventures like these colorful guys did. Maybe you had to live in the Bowery to find such characters? Years later it dawned on me they were actors and it was all scripted lol.